Gary Sorenson and Milowe Brost were sentenced to 12 years in prison on Tuesday for what is billed as one of the largest Ponzi schemes in Canadian history. More than 2,400 investors from around the world lost between $100 million to $400 million. The pair were found guilty of bilking more than 2,000 investors of up to $200 million. 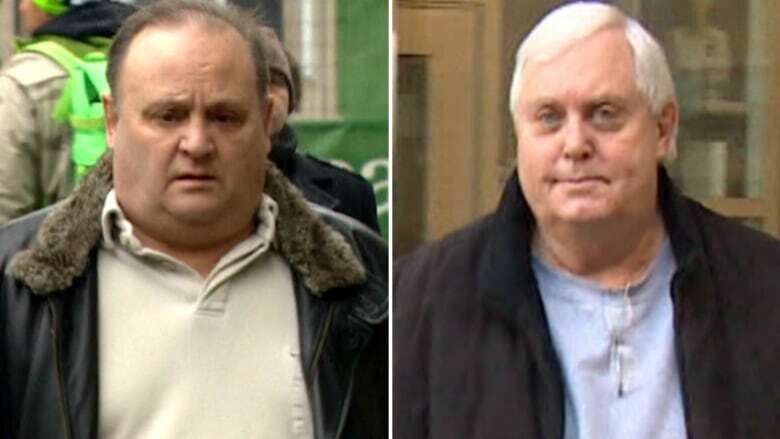 Gary Sorenson, 71, and Milowe Brost, 61, have already been found guilty of fraud and theft in a Calgary courtroom for an elaborate scheme in which investors were promised unrealistic returns. Brost was also found guilty of money laundering. More than 2,400 investors from around the world lost between $100 million to $400 million. Many people lost their life savings. The court received 600 victim impact statements prior to the sentencing hearing. One of the victims, Carol Knopp, travelled from B.C. and was in the courtroom on Tuesday for the proceedings. Knopp says she will never recover financially from what happened. "The financial and emotional and the health were all affected and have put major limitations on my lifestyle." Knopp said she wished the punishment had been more severe. The pair will be eligible fore parole in as soon as two years. It is not know yet whether there will be an appeal. "I don't feel so much anger, they look like hollow, empty people . . . obviously to not have any emotional response," said Knopp. Ponzi schemes involve taking funds from new investors and using them to pay old ones. The Crown asked the Court of Queen's Bench Justice Robert Hall to sentence both men to 14 years in prison — the maximum sentence allowed. Lawyers for the two men asked for something in the eight- to 10-year range and point out the two are still likely to die in jail. One set of fraud and theft offences took place between 1999 and 2008. They involved companies named Syndicated Gold Depository SA, Base Metals Corp. LLC, Bahama Resource Alliance Ltd. and Merendon Mining Corp. Ltd.
More wrongdoing took place between 2004 and 2005 with a company called Strategic Metals Corp.
Investors were promised a 34 per cent annual return on an investment of $99,000, which was supposed to grow to just over $1 million within eight years. They were told that the business involved selling gold for refining and that it was "low risk."